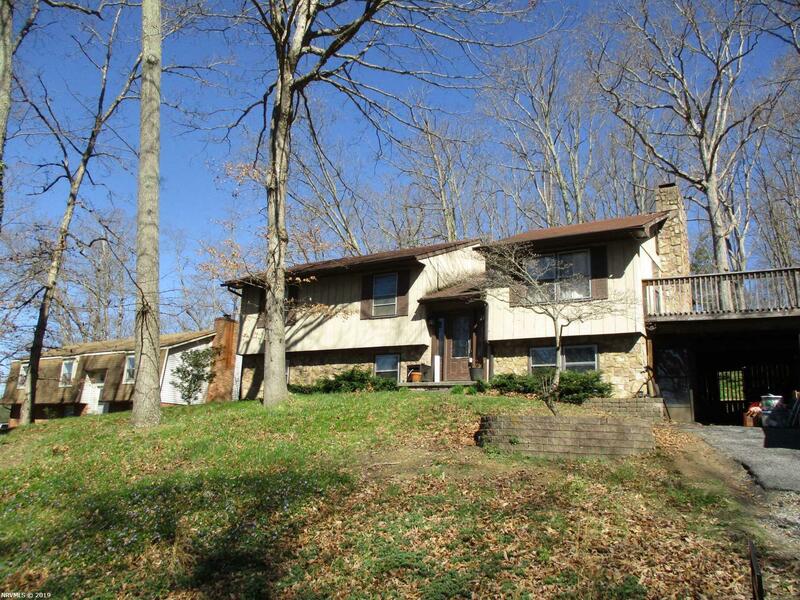 Spacious split foyer nestled on a partially wooded lot in Craigs Mountain. Hickory kitchen cabinets. Access to the back deck and fenced in yard from the dining area. Master bedroom has private bath with step in shower. A full hall bath & 2 bedrooms complete the upper level. The lower level features the 4th bedroom, full bath, family room with fireplace and outside access to double carport. The utility room has laundry hookups, workshop area, and access to the back yard. The gas furnace & heat pump system were replaced in 2007. Bring a vision and a plan to dress up this future dream home! Cash or high downpayment buyers only. Sold AS-IS. Directions: Roanoke St To Arrowhead To Left On Flint, Property On The Left.